I've been having issues with the code for this site and haven't been able to fix them. So I made a new better site! 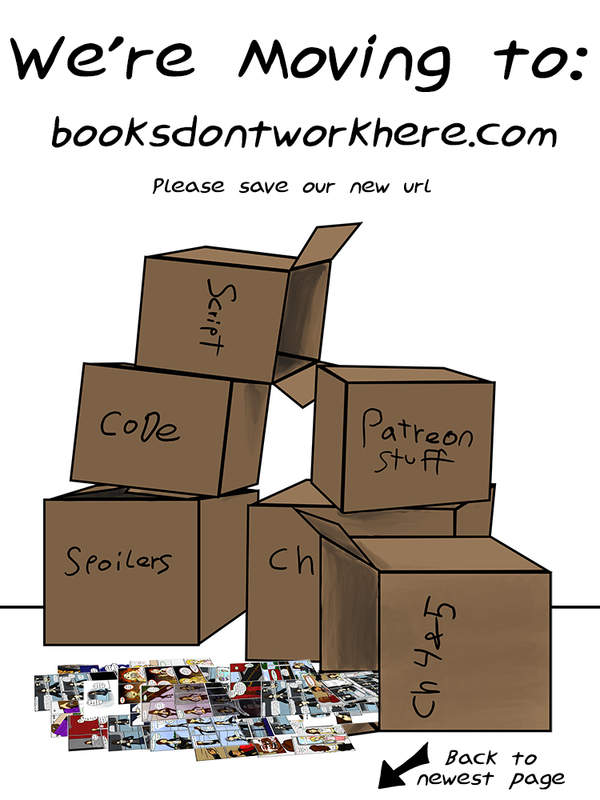 Please go to the New site, and bookmark it or whatever you do to keep track of your comics (let me know if I forgot something that you use to keep track of comics and I do what I can to fix it). I will still be posting new pages here for a while. They will show up previous to this page a day or so after I post them on the new site.